We launched Cloud Access Software on the AWS Marketplace! Now, enterprise customers can access their graphics-intensive Windows and Linux applications from Amazon Web Services (AWS) with the same highly-responsive user experience of a local workstation. With Cloud Access Software on the AWS Marketplace, customers can bundle their Cloud Access Software deployment with AWS cloud usage for easy, monthly billing. Cloud Access Software allows enterprises to securely lift and shift workstations and applications to the cloud and is available on the AWS Marketplace in all regions with Amazon EC2 G3 instances. The introduction of a single payment via the AWS Marketplace simplifies billing on a pay-per-use model. Cloud Access Software feature updates will also be available through AWS Marketplace and supported on Windows Server 2016 and CentOS 7 operating systems. How to deploy Cloud Access Software on the AWS Marketplace? Cloud Access Software supports both Windows and Linux applications and workstations hosted on Amazon Elastic Compute Cloud (EC2) G3 instances. Users can access their applications remotely from laptops, tablets, or ultra-secure PCoIP Zero Clients. Software clients are available for Windows, macOS, iOS, Android and Chrome OS. 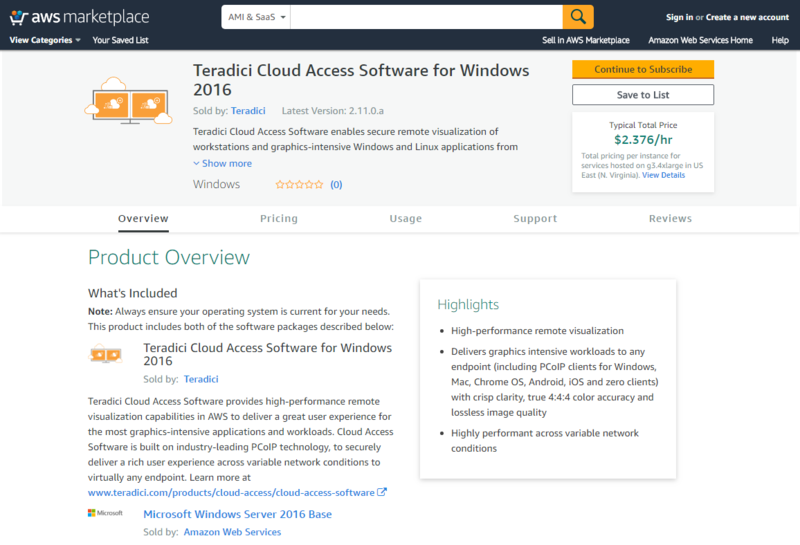 For more information about Teradici and its offerings available on AWS Marketplace, please visit www.teradici.com or check out the Windows version here and you can find the Linux version here. 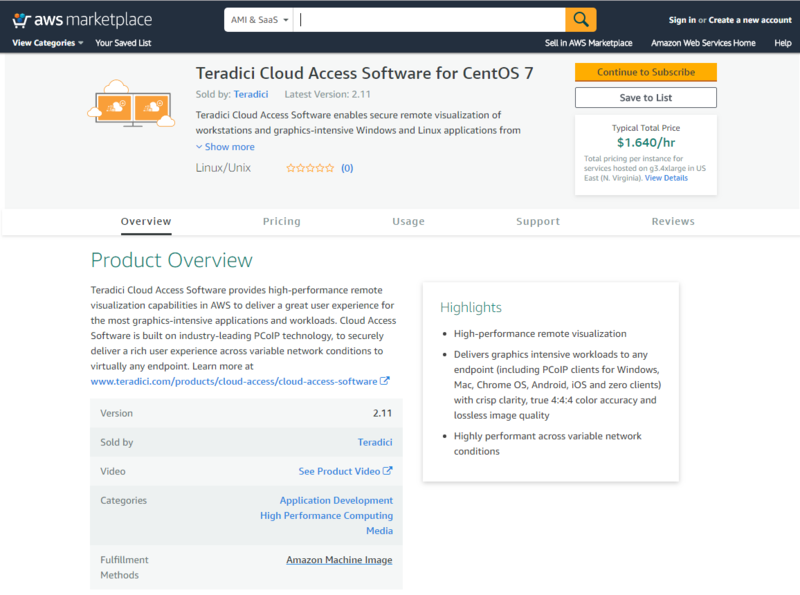 Teradici Cloud Access Software is also available as an annual subscription through Teradici and its resellers and supports other host environments. Learn more about Cloud Access Software or contact us.